Barbara Lindstrom is our in-house sonographer. She received her A.S. in Radiology from Santa Barbara City College. She then completed the Diagnostic Medical Sonography Program at the University of Colorado Hospital, in Denver, Colorado. 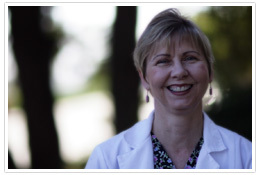 Barbara joined Santa Lucia Medical Group in 2003.